At first glance it may seem that China’s domestic market is growing by leaps and bounds. But it is not, despite the fact that the franchise franchise strife and to find a suitable for every taste and budget. 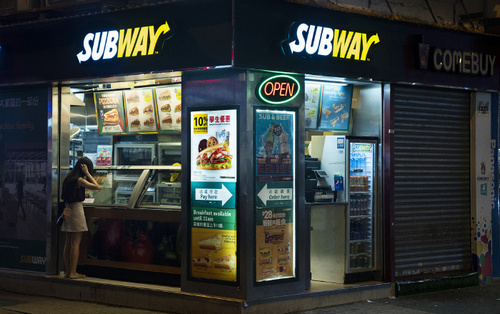 But if you compare two identical in format retailing franchise in Russia and China — they will differ literally in everything. At the level of selection of franchise, you will have to face the fact that any reliable and proven Chinese trade franchise company will require huge entry fee (50 000 — 100 000 USD), and it’s just a Deposit, not even involving trade credit, but only a guarantee of your reliability as a partner. Domestic franchise and investment market of China is now so great that the owners of the good franchises have the right to decide and picky to choose who they are willing to sell their partnership. Of course, you can find more modest novice franchisor, but there’s no guarantee that tomorrow the brand will not cease its existence, and you will not be without product. Moreover, market competition in China is so large that small partners with small production runs can’t compete with the monsters in your price range. And if some time of their dumping in the cost of goods will serve to build the franchise network, soon they will either raise prices, or burst. Franchises are closed and opened in China every day. And tomorrow it may be your deductible. In Russia, too, no one is immune from an unreliable partner, but a detailed study of the segment that interests you, you can easily choose the optimal franchisor. Besides, lump-sum payment in Russian retail — a rarity and, even if he is, then in its entirety you provide yourself with the commodity credit (in the range of $10 000-15 000 for the top company involving the Federal marketing and advertising), and for small companies the lump-sum payment is mostly missing. Second, what you will encounter in China is much more difficult to find an appropriate location under the outlet. And it’s not even a huge price gap (similar in the parameters space in Moscow will cost about 5 times cheaper than in Guangzhou — $3500 against $15 000 per 100 square meters of quality street retail premises or in the top of the Mall). In the search process, you will understand that many good shopping centers refuse to provide quality space in a small Chinese brands, seeking to get or foreign tenants, or large Chinese companies. The arena is sure to appear caring mediators, promising to lobby for your interests and provide you the best facilities at your disposal. Do not resort to their services in any case. Moreover, do not include them in the lease (many of them will insist on this, as your warranty rent desired of the premises). Any realtor will complicate your relationship with the landlord at times and on occasion will not fail to use to their advantage. Total, already at the time of opening the size of your investments in a more or less reliable franchise in China will be about $150 000, including the entry fee, rental deposits, trade equipment and the product itself. In Russia all the same will cost about $25 000 — 30 000. Still want a store in China? Next, what will have to face is employees ‘ wages in “expensive” and “cheap” China is not in China’s favor. To find a good seller for the right price in Moscow — a problem quite feasible. In addition, a person will come to you well trained and will be able to join in the work. In any big city in China you first have to find and then nurture and grow. All permanent residents of the capital or already have a job with a high salary, or are not the best workers. So be prepared to look for sellers in the neighbouring small towns and villages, to train them, wasting your precious time and remove them with housing. And now, finally the shop is open and business begins to return attachments. Came true and happened just ahead of profits and success. But here again you have to face unexpected specifics: store in Guangzhou, with revenues more than twice of Moscow, lower profit, and the profitability of the business differs quite dramatically. The fundamental positive difference will be the number of checks, i.e. the attendance of the shop in China’s enormous (almost 10 times above), but this advantage will be offset by the size of the average check (three times lower than in Russia) and small margin. When you do this, imagine the depreciation of equipment and the number of the missing item in the store, who visited for a month about 30 000 people. That is our sluggish Moscow trade has obvious advantages, who do not immediately understand that the seller can pay almost every buyer, thereby increasing the conversion of those who just came in bought and also seriously increase the average check. And still low competition in certain niches shopping gives you the opportunity to keep a large margin. Another interesting difference will be the methods of payment customers. In China only about 20% of purchases is for cash, 3% — with the help of plastic cards UnionPay (the Chinese equivalent of Visa and MasterCard) and 77% — using the payment app AliPay and Wechat. As you know, the biggest problem of China is fake. And franchise businesses are no exception. And we are not talking about any specific products or designs, but about the franchise as a whole. So be prepared for that when your franchise becomes popular, you will see a lot of her bad and sometimes pretty good copies. The copy is meant here a full dubbing of the entire range and categories, as well as packaging, design, commercial equipment and premises up to the entrance and ticket office, packaging, display and even shape staff. Similar can even be the logo and name. Unfortunately, patent law of China is such that if is replaced by at least one character, then that is a completely different brand, and to claim it is impossible.